Click here to purchase your 2019-20 subscription now. (Tickets for each performance go on sale on August 1, 2019). ... and we welcome the world to our stage! Our series begins in September with the Duo Turgeon and the Bergmann Duo joining forces on our stage as the Canadian Piano Quartet – 40 fingers tickling the ivories with virtuosity. 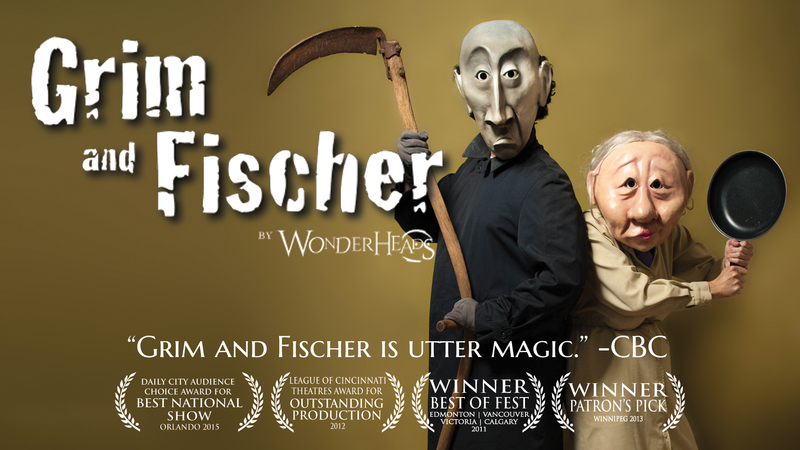 The series ends in April with “Grim & Fischer,” a multi-award winning piece of physical theatre genius, created by Wonderheads Theatre. 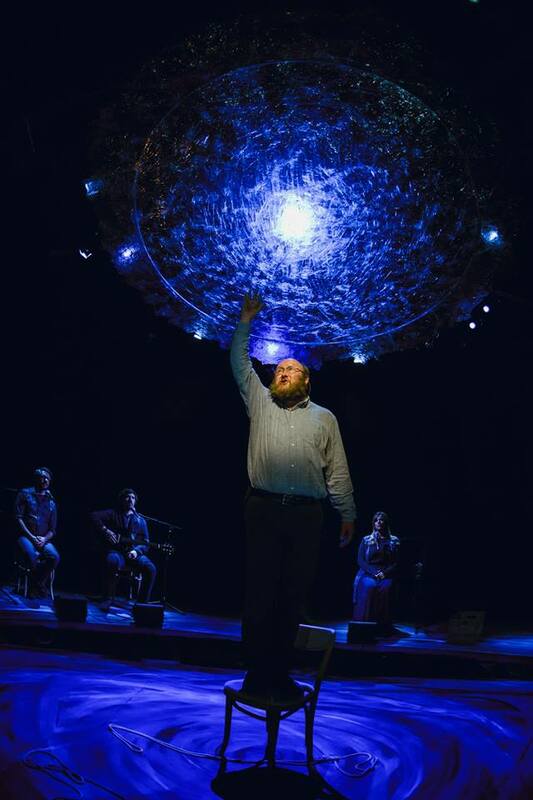 In between, our 2019-2020 Series features a second award-winning play, “Between Breaths”, brought to us by Newfoundland’s Artistic Fraud Theatre. Other highlights include this year’s Polaris Prize winner Jeremy Dutcher; Beverley Johnston and Marc Djokic, two of our country’s finest and most creative instrumentalists; and in February, Symphony Nova Scotia takes us on an exhilarating baroque “Grand Tour” of the Old Continent, conceived and directed by Jeanne Lamon, Tafelmusik’s long- time musical director and lead violinist. At a cost similar to last year’s, a series subscription offers nine performances for unprecedented savings of nearly 30% on individual ticket purchases. That’s almost three free performances out of nine! The best way to stay up to date with the latest news is to click here to be added to the Performing Arts Series e-mail list. The Festival Theatre is at 504 Main Street, Wolfville. Convocation Hall is in the main Administration Building off University Avenue. Critically acclaimed as two of the finest piano duos of our time, the Duo Turgeon and the Bergmann Duo have come together to form the Canadian Piano Quartet. 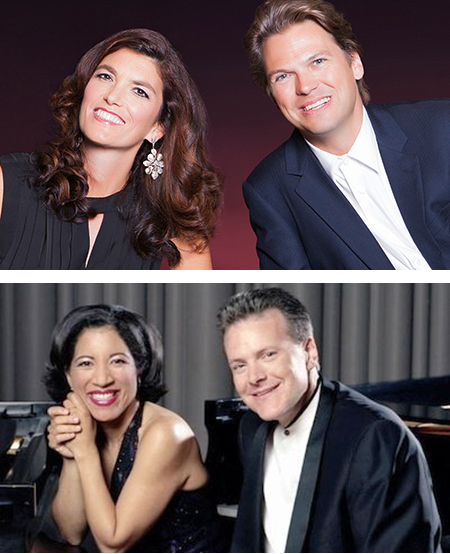 Regarded as global leaders of the multi-piano genre, the two duos have established enviable world-wide reputations through hundreds of concerts, dozens of prizes, and multiple recordings and broadcasts throughout the world. Goyer and the Prix Opus. 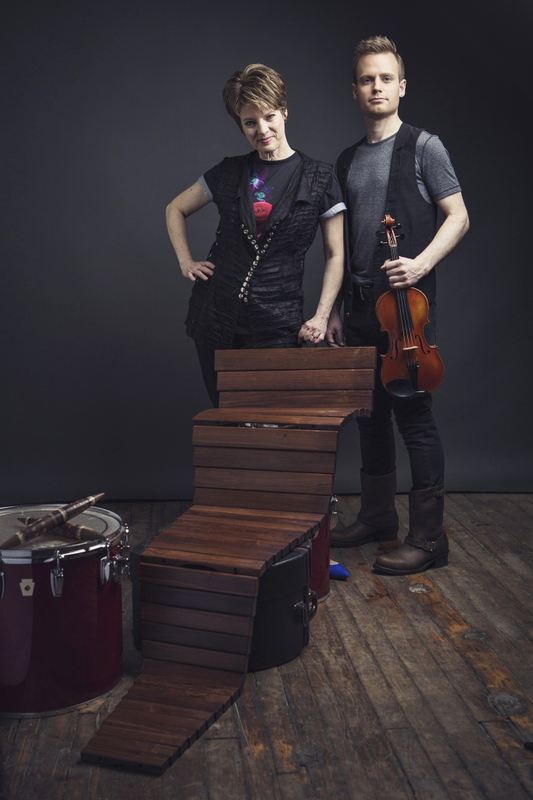 Together they present an eclectic program, embracing melodic contemporary compositions and creating a riveting visual and aural presence. Dr. Jon Lien – well known in Newfoundland as “the Whale Man” – pioneered techniques to rescue whales entrapped in fishing nets. Often risking his life in the water with the formidable and frightened animals, his efforts saved the lives of over 500 whales. Lien’s biggest fight came at the hands of a lengthy illness as he was slowly conquered by immobility and dementia. With an inspiring musical soundscape performed live, Between Breaths is heart-wrenching yet beautiful and celebratory. A true theatrical tour-de-force. 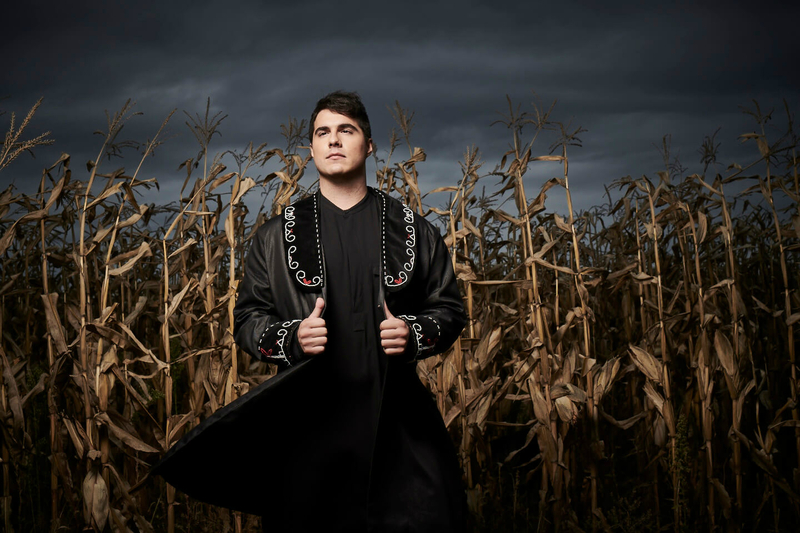 A member of the Tobique First Nation, Jeremy Dutcher is a classically-trained operatic tenor, pianist and composer whose music shape-shifts between classical, modern and traditional to create something entirely new, yet anchored in the souls of his ancestors. For his debut recording, Dutcher painstakingly transcribed original 1907 wax cylinders recordings of ancestral voices singing forgotten songs and stories from his community. Long days at the archives turned into long nights at the piano, deep in dialogue with the voices of his ancestors. The result : sublime melodies swelling from the delicate to the majestic, “cascading through a vibrant range of emotions”. This album, entitled Wolastoqiyik Lintuwakonawa, won Dutcher the Polaris Prize, crowning what is arguably the best record released in Canada in 2018.
and friends. 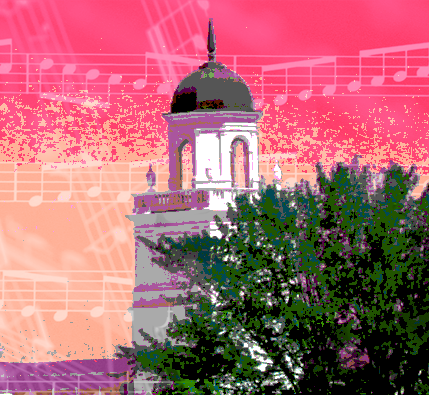 This is our annual showcase of the diversity and depth of the musical talent at Acadia. In the 18th century, the “Grand Tour” of Europe was designed to enlighten England’s young elite, introducing them to the masterful music, exceptional art, and decadent delights of the Continent. and lead violinist of Tafelmusik, Canada’s beloved baroque ensemble. Starting in England, this wonderful program will take us on a vicarious journey through France, Italy, and Germany, with gems from Handel, Marais, Corelli, Vivaldi, and Bach. 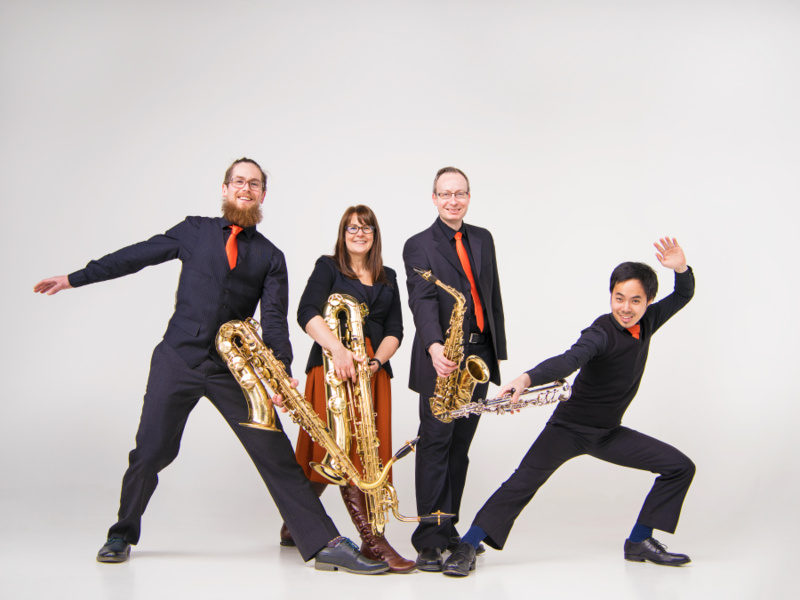 The Quartet was formed in Paris in 2011 by four Canadian musicians, exploring chamber music specifically written for the saxophone quartet. Performed with “incredible precision and a great deal of emotion” ( Le Voyageur), their program is rich in collaborations with contemporary Canadian composers, and also features creative transcriptions of works by such iconic composers as Bach and Grieg. for Jazz Album of the Year. Richly melodic, the album was mostly recorded in New-Orleans and it features a remarkable “A-List “of musicians including Cyrille Neville, George Porter Jr (The Meters), Chuck Leavell (Allman Brothers, Rolling Stones), Randy Bachman and Colin James. 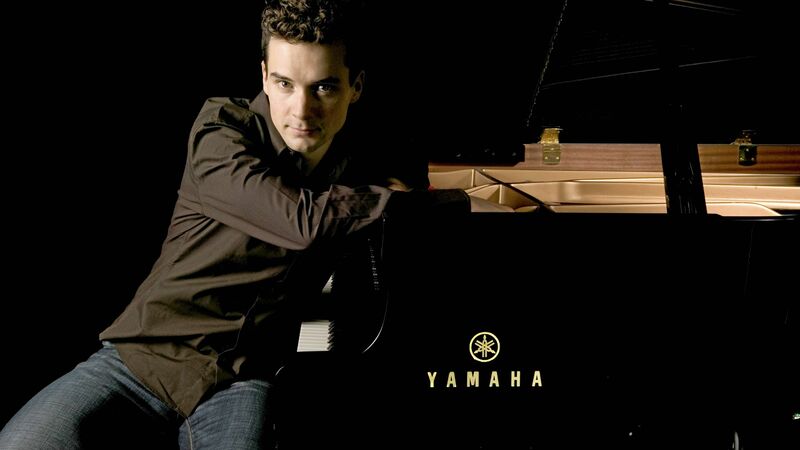 If one is indeed measured by the company they keep, Kaeshammer is a giant! Wonderheads is a multi award- winning physical theatre company specializing in mask performance and exquisite visual storytelling. Kate Braidwood and Andrew Phoenix came together in 2009, dedicated to do their part in conjuring a little magic and wonder into the world. With a mutual proclivity for all things bizarre and extraordinary, they set out to create Grim and Fischer. The story of a feisty grandmother who battles it out with the Grim Reaper himself, the play has been accumulating awards ever since its creation, including eight “Best of Festival” awards. 2018-19 subscribers have until May 1 to renew their seats for 2019-20. As a renewing subscriber, you can choose to keep the same seats as last season or request a change. If you do not renew by May 1, your seats may be released to new subscribers. New subscribers will choose their season’s seats on a “first come, first served” basis. So, for the best seat selection, don’t delay. Sign up now! Subscriptions are on sale now. Tickets for individual performances go on sale August 1. Renew your subscription (or order a new one) by May 1, 2019 and you’ll be eligible to win two Festival Passes for the September 2019 edition of the Deep Roots Music Festival. Renew your subscription (or order a new one) by June 1, 2019 and you’ll be eligible to win a pair of tickets to Two Planks and a Passion Theatre’s play IN THIS LIGHT, at the Ross Creek Centre for the Arts. Renew your subscription (or order a new one) by August 1, 2019 and you’ll be eligible to win lunch for four (or dinner for two) at the Old Orchard Inn. Renew your subscription (or order a new one) by September 1, 2019 and you’ll be eligible to win a pair of tickets to a Halifax concert by Symphony Nova Scotia (selected performances) plus a night’s accommodation at the Marriott Harbourfront Hotel. Sold through the Acadia Box Office system. IN PERSON at the Acadia box office, located near the main entrance of the Athletics Complex. The Acadia Box Office accepts cash, debit cards, Visa, MasterCard and American Express. A service charge applies to telephone orders and mailing of tickets. If available, remaining tickets will be offered at the door, 45 minutes before the performance, at a discount varying from 30% to 50% off the regular price. Call 902-542-5500 or 1-800-542-TICK (8425). A service charge applies to telephone orders and mailing of tickets. The Acadia University Box Office accepts cash, debit cards, Visa, MasterCard & American Express. Scents and Sensibility: In consideration of the comfort of others, please refrain from using scented products when attending the Performing Arts Series. We regret that babes-in-arms are not permitted at these performances. Programs, artists and venues are subject to change without notice.